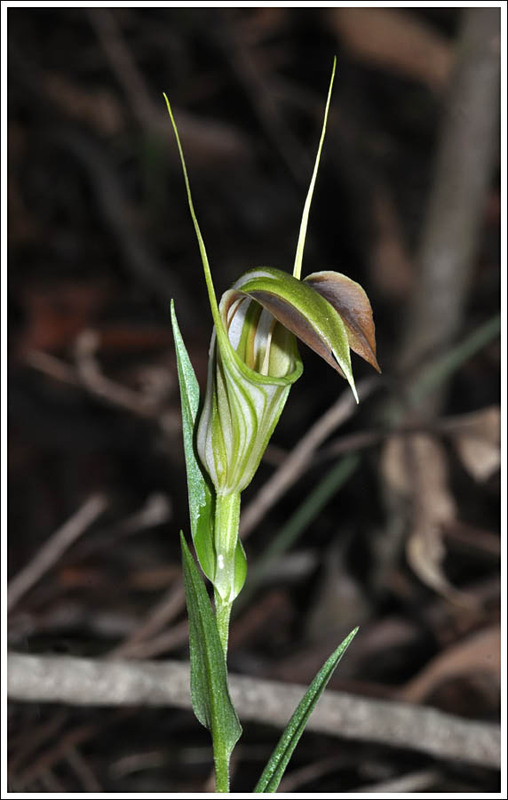 A long overdue daytime bush visit saw the camera in the shadows beneath the understory in a quest for Pterostylis grandiflora and perhaps some fungi. With the lack of rain the creek was dry, and fungi were very scarce, but as luck would have it the first encountered was quite beautiful and in pristine condition. 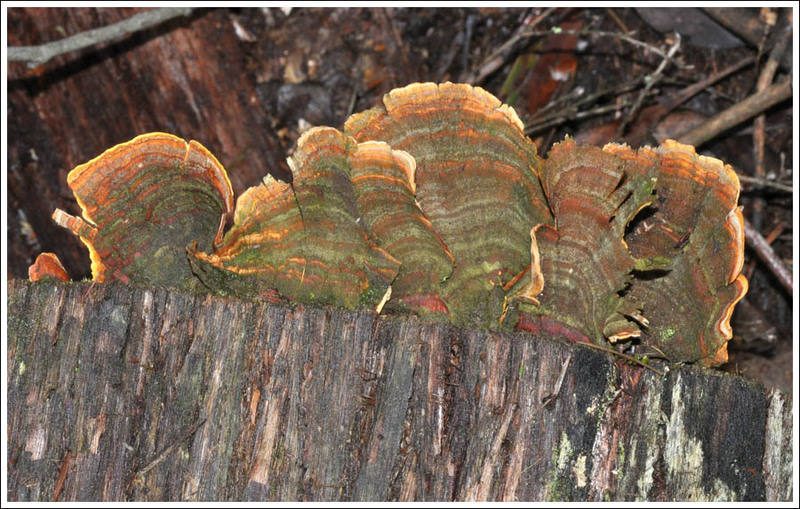 There were some brackets doing their job of helping to break down fallen timber, and these made attractive subjects for the camera lens. 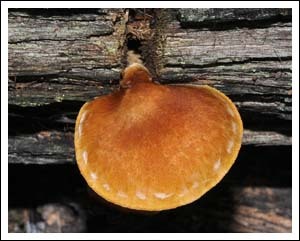 This fruiting body was especially attractive. 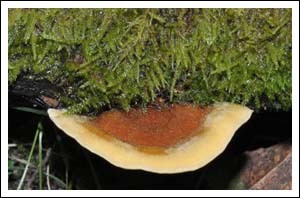 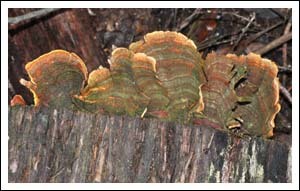 Long-stemmed fruiting bodies were very hard to find, this was the only other photographed. The striking Cobra Greenhood, Pterostylis grandiflora is a mainly winter flowering orchid, and prior knowledge of a colony beside the creek was rewarded with a number of flowers being found. This orchid like many others is pollinated by a fungus gnat. 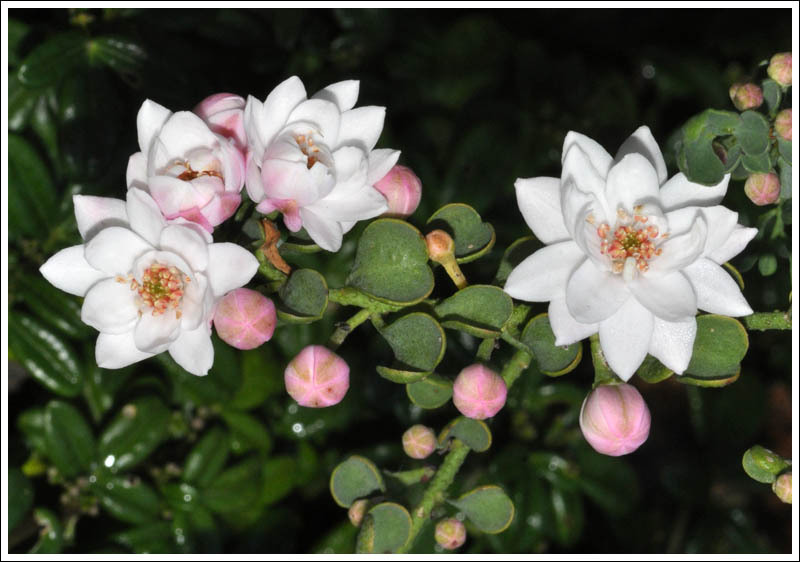 Orchid Pollinators of Victoria by Rudie H Kuiter is a fascinating book detailing the pollinating processes with superb photography. 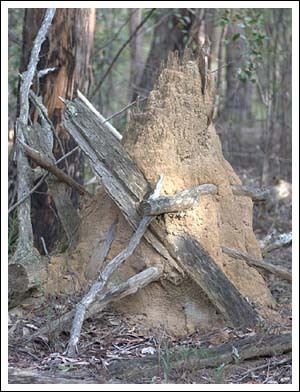 Termite mounds are common in the bush, but this example with pieces of timber being incorporated was thought provoking and well worth a photograph. An abstract bush sculpture. 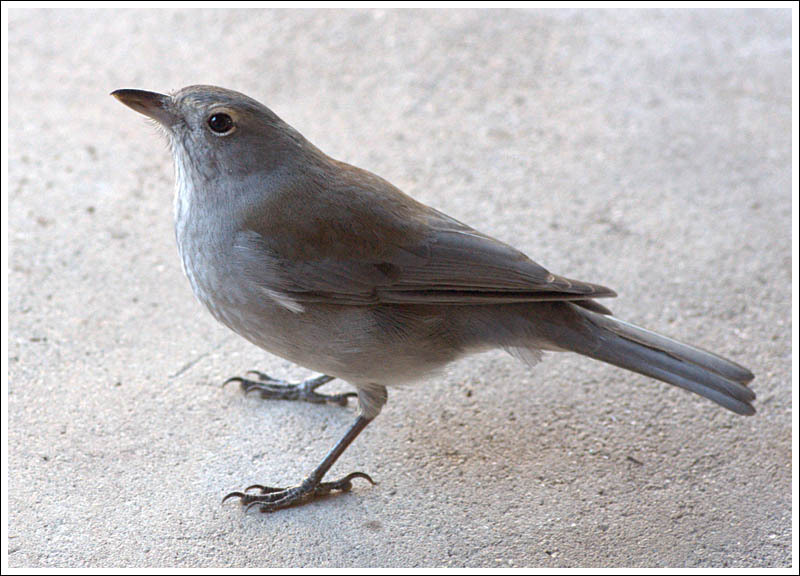 Posted on June 28, 2017 by TricarpaPosted in General Nature. 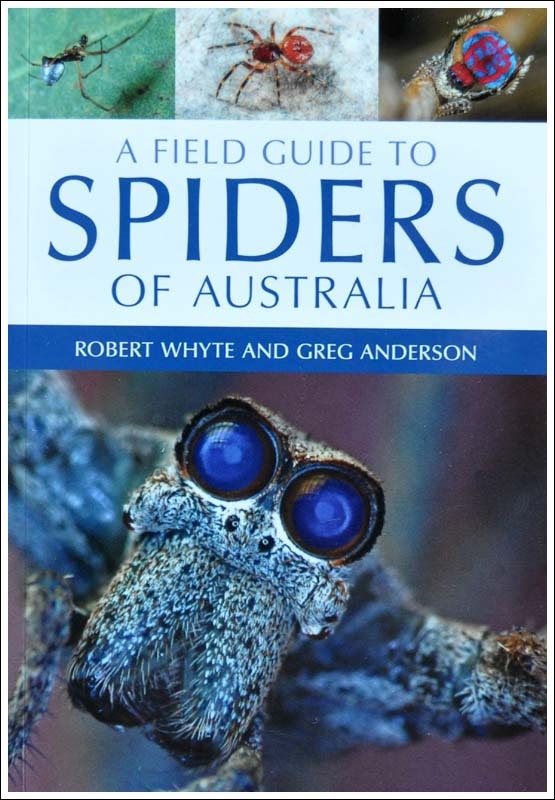 A welcome arrival in the mail this week from Andrew Isles was the highly anticipated new Field Guide to Spiders of Australia, by Robert Whyte and Greg Anderson. 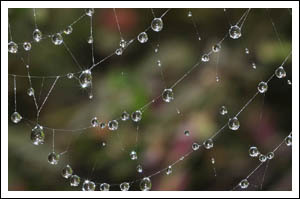 In the world of invertebrates there can surely be no more fascinating class of creatures than spiders. 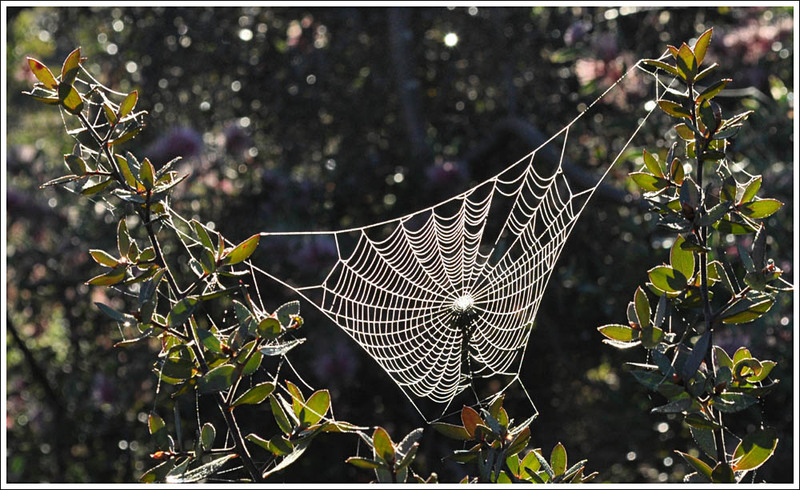 One can never cease to marvel at the sight of an orb weaver constructing its web. 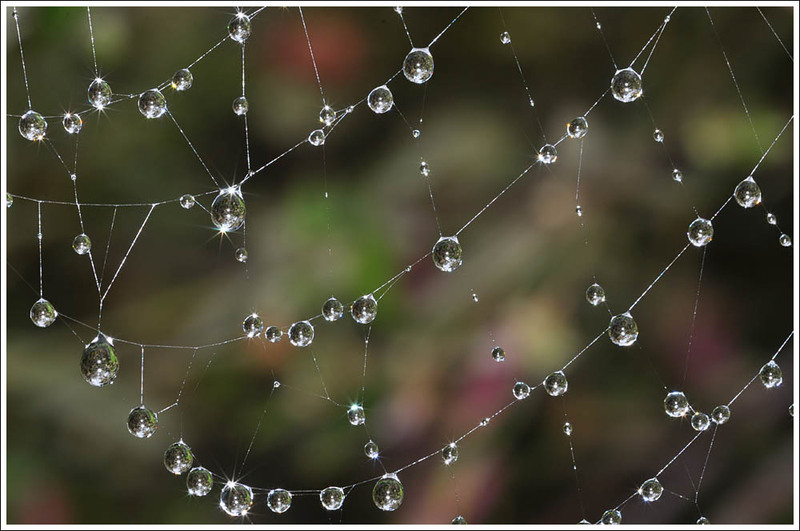 At this time of year the early morning light highlights these intricate and beautiful creations suspended from any suitable support. 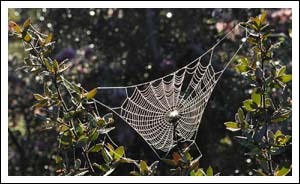 Orb webs to capture prey are only part of the story though, with other spiders casting nets, swinging a sticky bolas, or hunting with speed or by jumping to capture a meal. 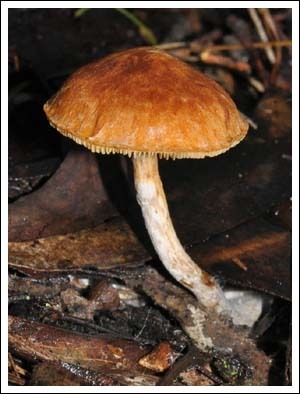 This new field guide illustrates our Australian spiders with over 1300 photographs and descriptive text that is second to none. 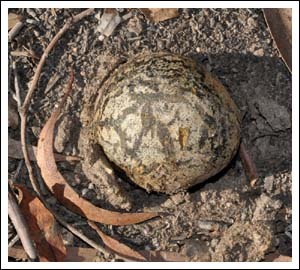 Being a moth person, this was a gem of information gleaned from my first skim through, concerning the Bird Dropping Spider, Celaenia excavata. 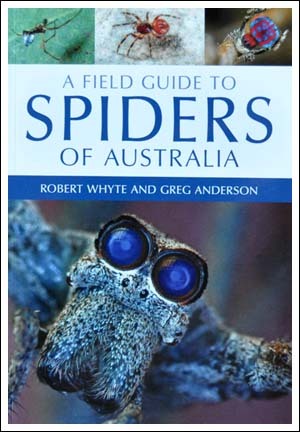 It is the first spider I remember, common in our suburban garden in the early 1940s but unseen for many years in our Gippsland native garden, and I quote, “The large female seems to exist solely on a diet of male moths, mimicking the pheromones of female moths to attract them.” This book is a must have for any natural history enthusiast, highly recommended. 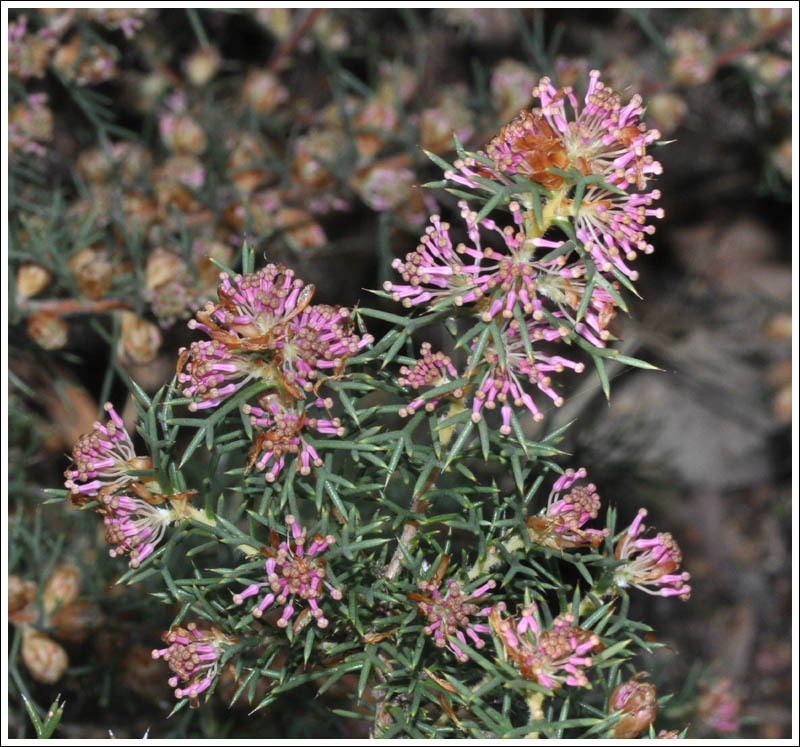 Winter flowering plants are beginning to come into flower in the garden, Hakea lissocarpha, the pink form, and the Heyfield double wax, Philotheca verrucosa. 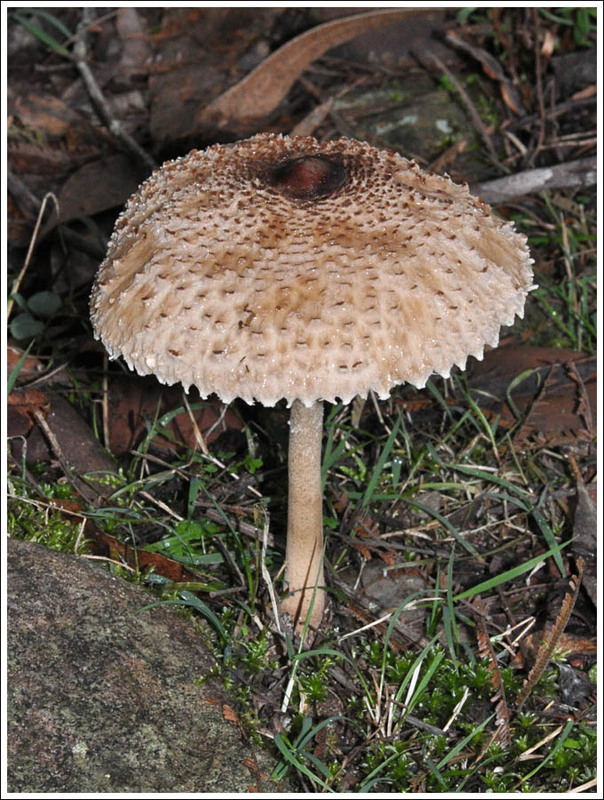 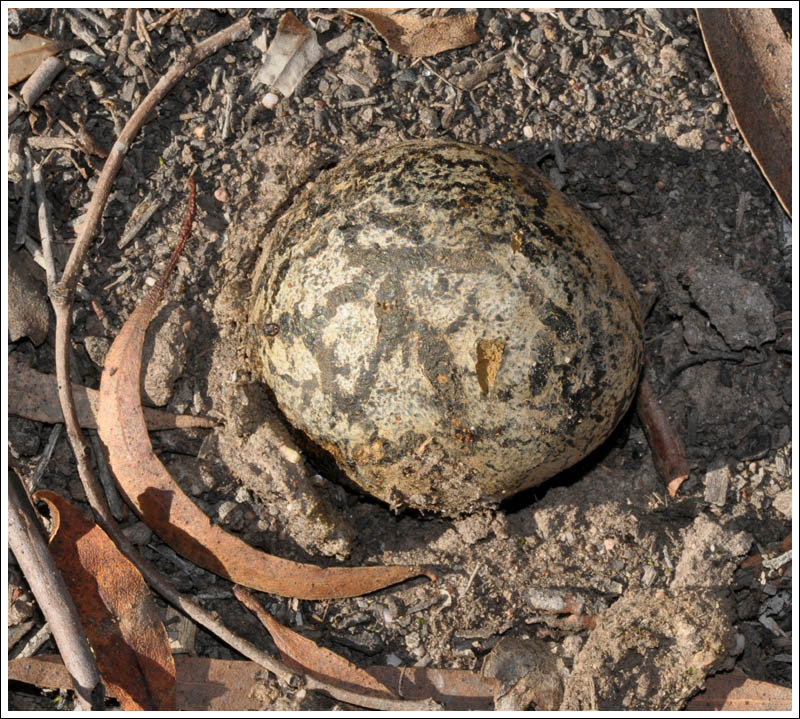 Under the eucalypts many examples of the Horse Dung Fungus, Pisolithus arhizus have appeared this year. 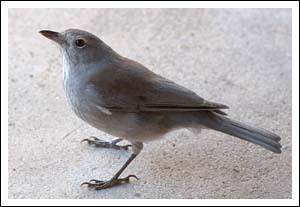 Two Grey Shrike-thrushes are resident and one has become very confiding, whistling to attract my attention and coming right to my feet for some crumbs of cheese. 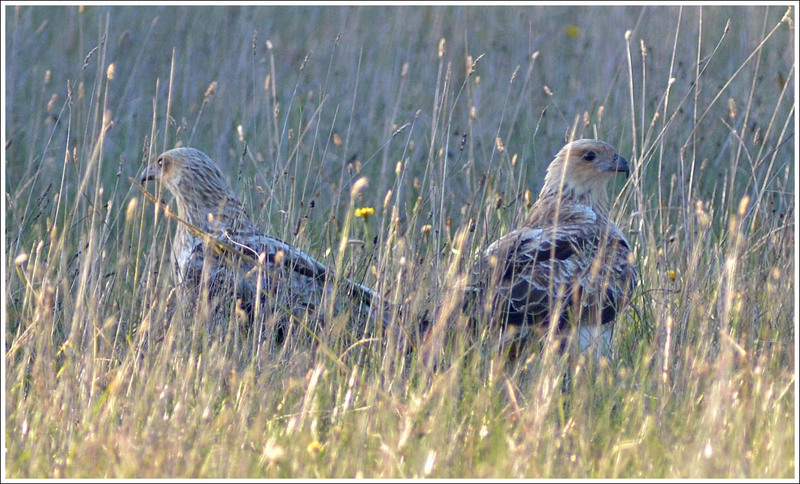 For the second time over the last few years a dead rabbit in the paddock has attracted a pair of Whistling Kites. 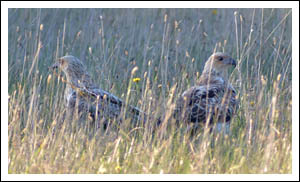 These were harder to photograph than on the first occasion, being in longer grass and extremely wary. 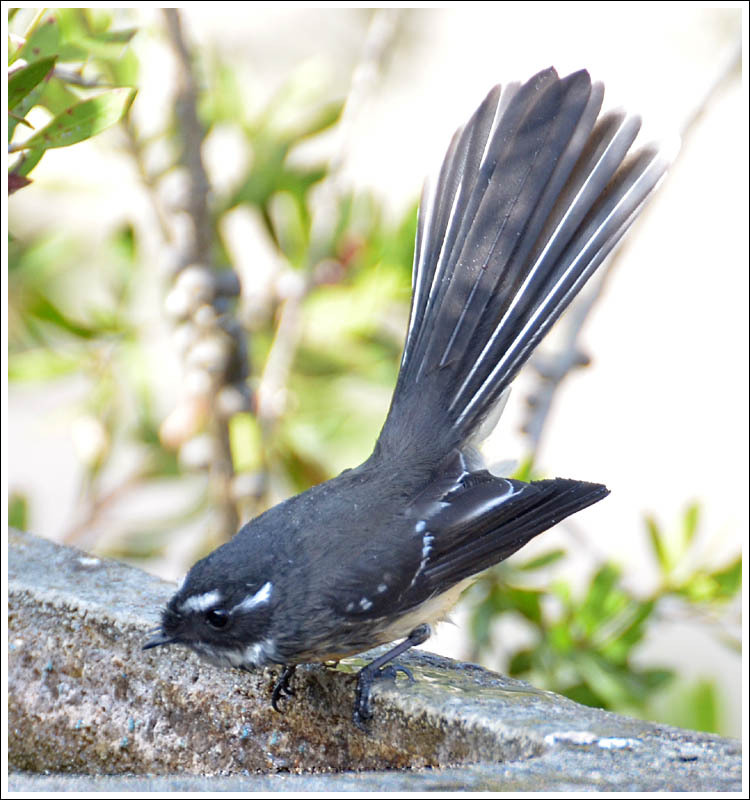 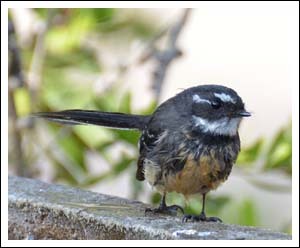 A very dark Grey Fantail, possibly of the Tasmanian race was present for a couple of days before moving on, it is pictured enjoying a cold bath although you wouldn’t think so judging by its expression in the second picture…..
Posted on June 19, 2017 by TricarpaPosted in General Nature.